TORONTO — Melbourne has made itself a work of art, literally. The Australian city is world-famous for its street art, with a multitude of colourful, eye-popping murals adorning everything from laneways and streets to storefronts and facades. Melbourne-bound clients can see the scene for themselves thanks to Air Canada’s newly launched year-round service to the coastal city. Clients can get the ultimate in inflight comfort by choosing from three classes of service aboard Air Canada’s Boeing 787 Dreamliner, to arrive feeling refreshed and ready for their adventures. 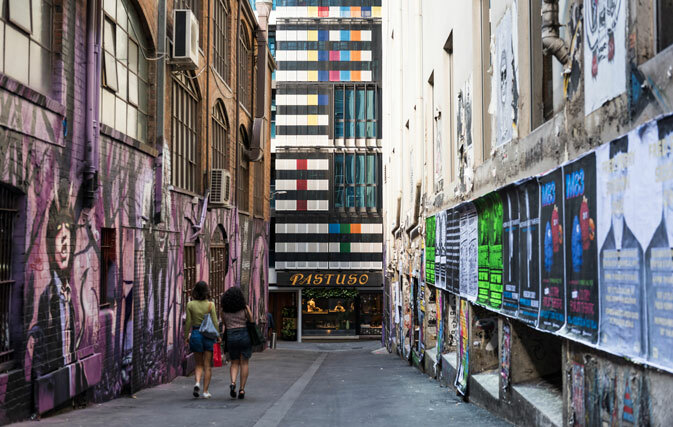 Hosier and Rutledge are two of the city’s original street art laneways that now have ever-changing artworks on the walls from emerging artists to newcomers on the scene. Other top picks include ACDC Lane and Duckboard Place, Union Lane (curious visitors who will often see artists with their spray cans putting up new artworks), Myers Place and Croft Alley. Easey’s in Fitzroy is covered from top to bottom in street art. The architects consulted with a number of local street artists to design the interior and exterior of this five-leveled venue that features a train carriage on the rooftop. There’s also Arlechin, Section 8 (a bar that began its life as two shipping containers in a car park and is now a popular street-art themed laneway bar), Ferdydurke in Tattersall Lane and Croft Institute, a much-loved drinking venue with a long, colourful laneway notorious for its ever changing facade of murals that lead to the door. Chin Chin has fully incorporated the city’s love for art into its dining experience combining stencil art, murals, light, outdoor projections and sound. Also check out Attica, Transformer (the entire façade of this vegetarian restaurant in Fitzroy is covered with street art), Cookie and Movida in Hosier Lane, Melbourne’s street-art heart. Melbourne Street Art Tours are led by some of Melbourne’s best street artists. Tours gives visitors an insider’s overview of the Melbourne street art scene and finish up with a drink among artists working in The Blender Studios’ new home in Melbourne’s Docklands. Meanwhile the Wall To Wall Street Art Festival is Victoria’s first regional street art festival that runs annually every March. And Rose Street Market is a popular artists market where street art designs on the walls of the courtyard change regularly. The surrounding streets and the cafes are also covered in colourful street art from local and international artists. The InterContinental Melbourne The Rialto is a unique heritage listed hotel, built over a genuine cobblestone laneway, giving guests the opportunity to sleep amongst Melbourne’s street art with a 40 metre long mural painted by local street artists from The Blender Studios. And the Adelphi Hotel, located next to the city’s heart of street art, Hosier Lane, pays homage to the city’s artistic style throughout its rooms.